This Baingan Masala recipe packs a whole lot of vibrant flavours from spices such as cumin, coriander, and mustard seeds. Dry roast the grated coconut, peanuts and sesame seeds separately in a hot pan. Reserve some sesame seeds for garnishing. Grind all of the roasted ingredients until it becomes a rough powder. Heat oil in a pan. Add mustard seeds and sauté until they crackle. Add dry red chillies, curry leaves and continue frying until aromatic. Add all ingredients and combine well. Add brinjals. 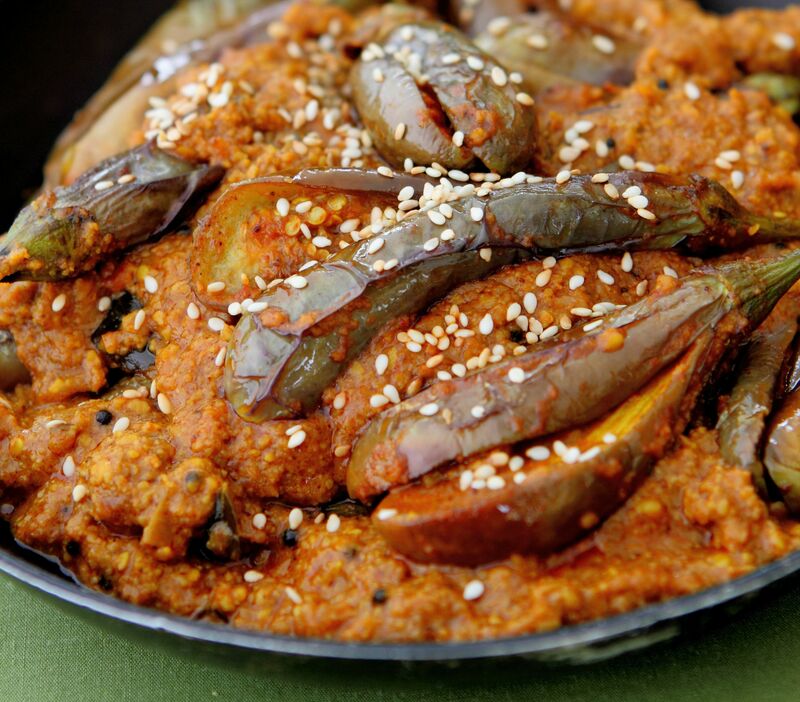 Stir and cook with lid on low heat for about 6-8 minutes or until brinjal is soft. Season to taste. Garnish with extra sesame seeds and serve hot.